Cutting for Stone. By Abraham Verghese. Vintage, 667 pp., $15.95, paperback. Maybe he should have called it Cutting for Oliver Stone. Like the controversial director’s JFK, Abraham Verghese’s first novel abounds with far-fetched characterizations, heavy-handed moralizing, and historical implausibilities or inaccuracies. Also like the movie, it has a dense plot and enough facts to give its story a gloss of truth. But you wonder if even Stone would have taken the liberties that Verghese does in this tale of mirror-image identical twin brothers — one is right-handed, the other left- — born in Addis Ababa in 1954. Marion and Shiva are orphaned at birth by the death of their mother and the disappearance of their father. As luck would have it, and luck often does have it in this novel, they grow up as the wards of sympathetic doctors who guide them toward medical careers of their own as the Eritrean People’s Liberation Front steps up its activity against Emperor Haile Selassie. 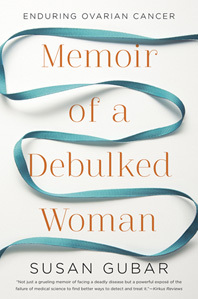 This semi-autobiographical material has provided perhaps too many temptations for Verghese, a professor medicine at Stanford who was born in Ethiopia in 1955. He lards his story with gratuitously detailed accounts of surgical procedures that, in the words a critic for the Economist, reflect “a somewhat whimsical notion of what they entail.” For the convenience of his plot, he has changed the dates and other details of major news events, such as a failed coup against Selassie and the hijacking of an Ethiopian airplane by Eritreans. In an otherwise naturalistic novel, he allows Marion to speak bizarrely from the womb and to believe he can read his twin’s mind, although he has so little control of point of view that it is often hard to know his intentions. Why, then, has Cutting for Stone found fans who range from book club members to Martha Stewart and President Obama, who had it with him on a 2011 vacation on Martha’s Vineyard? Several factors may explain what the quality of the writing doesn’t. One is that the hospital settings allow Verghese to deal with timely issues such vaginal fistulas and female genital mutilation in Africa. Another is that you inevitably learn from a 667-page book stuffed with Ethiopian history and culture, much as you do from Michener’s Alaska and Poland. And Verghese writes about two subjects slighted by contemporary novelists: work and religion, in this case Ethiopian Christianity. Perhaps above all, Cutting for Stone brims with earnest, Oprah-ready ideas. Marion reflects: “All sons should write down every word of what their fathers have to say to them. I tried. Why did it take an illness for me to recognize the value of time with him?” Peter Godwin writes far more elegantly about Africa in When a Crocodile Eats the Sun, a memoir of Robert Mugabe’s Zimbabwe. “In Africa,” he notes, “you do not view death from the auditorium of life, as a spectator, but from the edge of the stage, waiting only for your cue.” In a book more than twice as long as Godwin’s, Verghese leaves you waiting only for such a gracefully expressed idea. Worst line: No. 1: “ … he said as if he’d proved Pythagoras’s theorem, the sun’s central position in the solar system, the roundness of the earth, and [the hospital’s] precise location at its imagined corner.” Overwriting like this abounds in Cutting for Stone. One well-chosen example would have made the point better than four. Recommendation? I read this Cutting for Stone for book club, and some members didn’t finish it because of its length and slow pace. Clubs that want to read it, regardless, might read it over two months instead of one. Published: February 2009 (Knopf hardcover), January 2010 (Vintage/Anchor paperback). Furthermore: Verghese wrote the memoir My Own Country, a finalist for a National Book Critics Circle Award. Janice Harayda is a novelist and award-winning journalist who has been the book editor of the Plain Dealer and the book columnist for Glamour. One-Minute Book reviews recently ranked among the Technorati’s top 40 book blogs and Alexa’s top 40 book-review sites. New Jersey Monthly named it one of the state’s best book blogs in 2011. You can read the introduction to Overdiagnosed on Scribed. Julie Whitesel Weston grew up in Kellogg, Idaho, in the 1940s and 1950s, when it was “a wide-open, Wild West town” with brothels and gambling dens that attracted men who worked for the Bunker Hill silver mine. Her father, a doctor, examined the prostitutes twice a month for venereal diseases. He also made middle-of-the-night house calls and received venison and elk steaks from patients, whom he asked, “How’s your body?” After setting up his practice, Glen Whitesel stayed in Kellogg until he died in 1978, and sometimes played the snare drum for Tommy’s Trio at the Sunshine Inn. 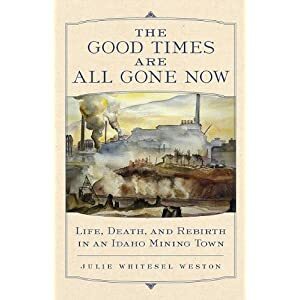 Julie Whitesel recalls her childhood in her recent memoir The Good Times Are All Gone Now: Life, Death, and Rebirth in an Idaho Mining Town (University of Oklahoma Press, 2009). In this excerpt, she describes her father’s funeral, attended by friends such as real-estate developer Jim Bening and attorney Bob Robson. “An honor guard of nurses, each dressed in white starched cap, dress, and stockings, stood like wings on either side of the elaborate coffin at the front of the church. His doctor partners served as pallbearers, along with Jim Bening and Bob Robson, and an extra six of friends, a double ring of hands. Townspeople – miners, wives, businessmen and women, gambling and drinking buddies, Tommy’s Trio, my friends, their parents, teachers, coaches, patients, not-patients — filled the church, spilled out into the parking lot, sang hymns, shed tears. The Episcopal priest, Father McReynolds, who had been one of my father’s gin rummy partners and was shaking with Parkinson’s disease, eulogized him. You can learn more about The Good Times Are All Gone Now on the sites for the author and for University of Oklahoma Press. You can also follow Jan Harayda on Twitter at twitter.com/janiceharayda. Unhinged: The Trouble With Psychiatry. By Daniel Carlat. Free Press, 256 pp., $25. Has the profession of psychiatry lost its mind? You might think so after reading this relentless and mostly successful assault on current practices in the field. Daniel Carlat focuses in Unhinged on the harm that he believes has resulted from the march of psychiatry away from psychotherapy and toward the better-paying practice of prescribing drugs. 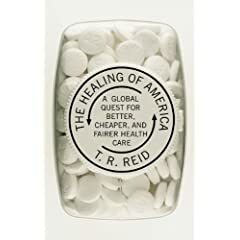 And he forges links between that shift and many ills in his field, including scandals at top-flight hospitals, one-sided articles in medical journals, and pharmaceutical-company payments to doctors who hawk questionable drugs to their peers. This view clashes with that of respected critics of the profession such as the social scientist Robyn Dawes, who drew on decades of research for his brilliant House of Cards, which argues that psychotherapy itself is a con game: There is no evidence that psychiatrists or psychologists are better at counseling than minimally trained civilians, and both types of professionals have strayed so far from their roots in the study of human behavior that they offer little more than glorified intuition. Unhinged may have the worthy effect of prompting patients to demand better explanations for why certain drugs are recommended for them — and it would be welcome for that reason alone — but it has little to say to people who remain unconvinced that psychotherapy would be better than the cavalier prescribing of Prozac or Wellbutrin. If psychiatrists are as willing as Carlat suggests to pimp for drug companies, why should Americans trust them with their deepest secrets? Worst line: Carlat says that an Ambien drug rep named Valerie once gave him a gift worth about $25, and later that day, he saw a patient and thought, “Why not prescribe Valerie’s drug for this patient?” That phrasing is too neat. Carlat also appears to be rationalizing in some of his comments on why he served briefly as a paid drug-company rep for the maker of Effexor. Caveat lector: This review of Unhinged was based on an advance reading copy. Some material in the finished book may differ, and some people in it are composites. Contrary to the date you see under the headline, this review was posted on May 31, 2010. WordPress appears to be having technical problems that have led to scrambled dates. For this reason, I’ve removed a May 30 post about my forthcoming review of the young-adult novel The Things a Brother Knows. You can follow Jan Harayda (@janharayda) on Twitter at www.twitter.com/janiceharayda. In late 2007 the psychiatrist Dan Carlat wrote a provocative article about why he quit giving paid talks for drug companies, many about Effexor, an anti-depressant that causes high blood pressure. Now he’s back with Unhinged: The Trouble With Psychiatry (Free Press, 256 pp., $256), a book that indicts his profession for shunning therapy for the more lucrative practice of prescribing medications. A review of the book will appear soon on One-Minute Book Reviews. “For years, North Korean hospitals had been using herbal remedies in combination with Western medicine. Instead of painkillers, the doctors used cupping, a technique in which a suction cup is applied to stimulate circulation to parts of the body. Another technique borrowed from the Chinese involved lighting sticks of mugwort next to the afflicted area. With anesthesia in short supply, acupuncture would be used for simpler surgeries, such as appendectomies.